DEWALT DWARAFS Right Angle Flex Shaft, 12"
DEWALT DCD460T2 60V MAX 2 Battery FLEXVOLT Stud Joist Drill Kit, 1/2"
The DEWALT DWARAFS 12-inch Right Angle Flex Shaft features a true 90 degree right angle head for versatility. These have a Rapid Load design for quick bit changes. The fastener is supported by magnet for 100% alignment. The Flexible Shaft allows you to reach nearly any space, Side handle for additional leverage and support, and the Hex shank accepts any 1/4 In. shank. The DEWALT 20V MAX lithium ion 3/8-inch right angle drill/driver has dual speed ranges (0-500/0-2000 rpm) for increased user flexibility. 3/8 ratcheting chuck with deep hex pocket allows 2 (50 mm) hex bit to be fully inserted for getting into tight spaces. 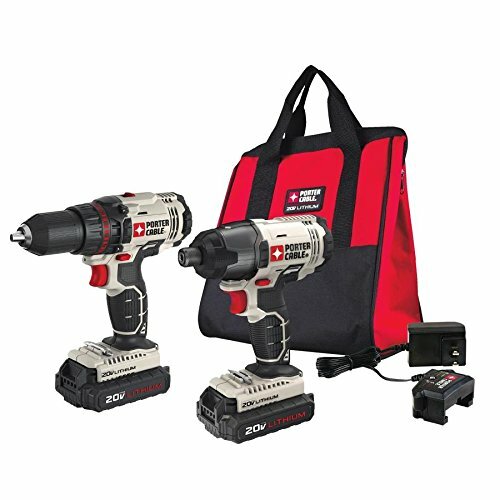 The PORTER CABLE PCCK604L2 20V MAX 2-Tool Cordless Drill/Driver and Impact Driver Combo Kit has everything you need for drilling and impact driving. The 1/2 in. 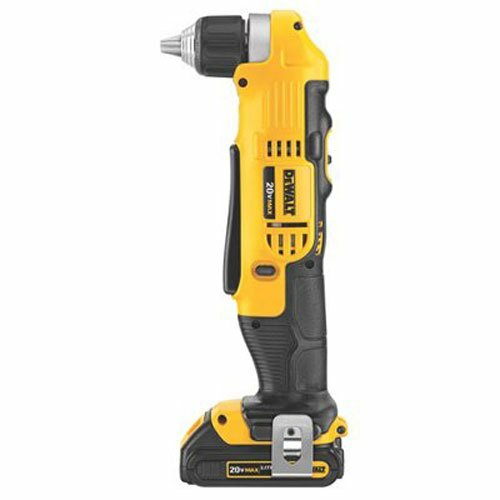 2-speed drill driver is compact at 8-1/4 in. long and weighs 3-1/2 lbs. The 1/4 in. impact driver is also compact at 6-9/10 in. long with a weight of 3-1/3 lbs. Both have ergonomic handles, LED lights and bit storage. The gears are mounted in a die cast with 3 durable ball bearings. Strong bulid-in magnetic socket holds standard hex drilling and drive bits, avoid falling. 360 Degree parallelly adjustment. 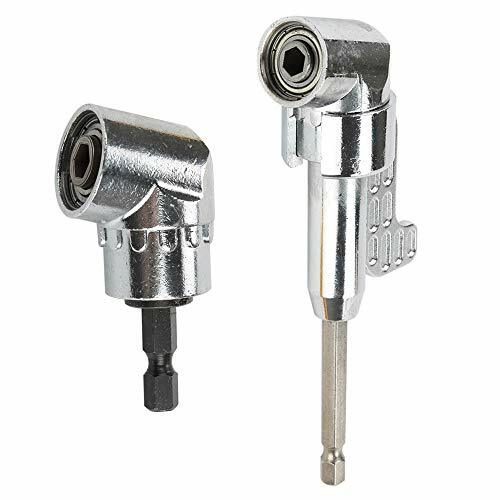 It can connect hand drill and manual wrench.Chrome ploated. The DEWALT DCD460T2 60V MAX* flexible 1/2" stud & joist drill kit features FLEXVOLT technology; the world's first battery that automatically changes voltage when you change tools. The flexible battery is backwards compatible with our 20V MAX* tools so you get up to 4X the runtime. (**With FLEXVOLT 60V MAX* battery when used with DEWALT 20V MAX* tools.) You can slide the battery into a whole new lineup of 60V MAX* and 120V MAX* tools from DEWALT. The DCD460 drill features a 60V brushless motor for increased power and runtime, with 2 variable speed ranges (0-300 / 0-1250 RPM) to match appropriate speed to the application. It has an adjustable bail handle and 2-Position side handle for leverage and control, along with a metal-gear housing for jobsite durability and increased reliability. This tool also has an e-clutch - a perform and protect feature that detects reactionary torque caused by a bind-up or stall and reduces speed to a manageable level until control is regained. Specifications: capacity in wood (self-feed): 4-5/8", capacity in wood (hole saw): 6-1/4", capacity in wood (auger bit): 1-1/2", capacity in wood (Spade bit): 1-1/2", capacity in steel (twist bit): 1/2", capacity in steel (hole saw): 5". 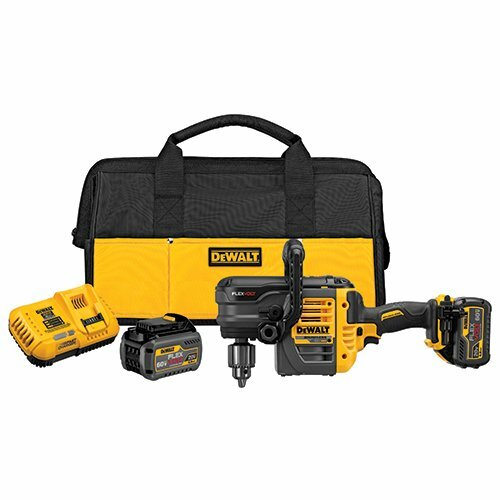 Kit includes: (1) DCD460 drill, (2) DCB606 FLEXVOLT Lithium Ion batteries, (1) fast charger, (1) chuck key and holder, (1) 2-Position side handle, (1) adjustable bail handle, (1) Kit bag. 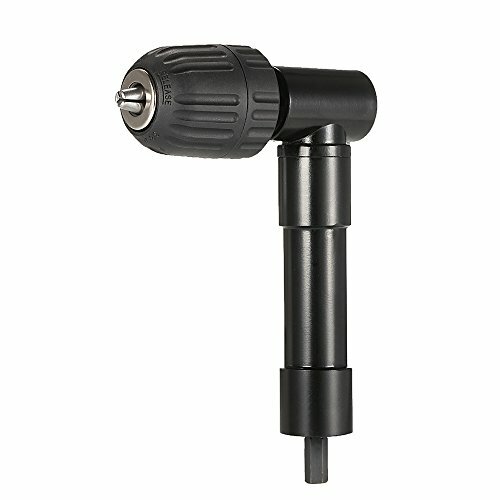 ANGLE POWER EXTENSION Functional head has locking & magnetic function, 105 Degree right angle head.1/4" Hex shaft screwdriver extension, convenient, durable, long lasting and easy to use.It's good for wrench and power drill, rechargeable drill or manual wrench.Light weight, fast, connect to the standard hex screwdriver.INSTRUCTIONS:NOT FOR impact drill. Use with charging screwdriver or power drill. 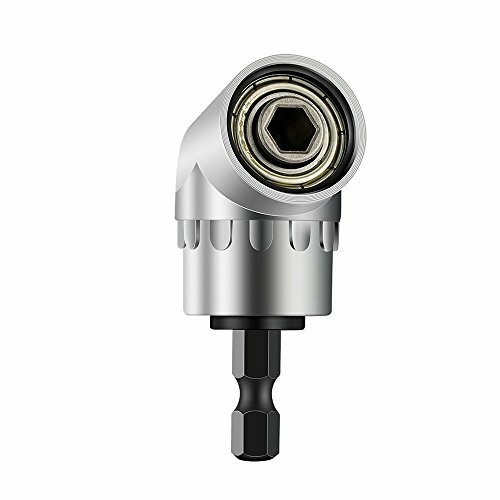 The maximum torque of this 105 degree Angle Driver adapter is 10N and it is only for right angle head.Note: Please adjust the torque to a minimum when using the electric screwdriver. Do not rely on it to tighten the screws if the hand drill is used. Finally, you must tighten the angle driver adapter manually, or the gear will be broken off. The right angle drill adapter gears are mounted in a die cast with 3 durable ball bearings. Strong bulid-in magnetic socket holds standard hex drilling and drive bits, avoid right angle drill falling. 105 right angle drill designs for tight spaces, extends the power of a cordless screwdriver, max torque: 10n/m. 1/4inch (6.35mm) hex shank drive can be quickly changed for drills, drive chucks and wrenches. 105 right angle drill attachment, perfect handy tool for hard-to-reach areas, 360 parallelly adjustment. It can connect hand drill and manual wrench. 10mm keyless chuck, accept 0.8-10mm drill bits, with manual tightening / loosening. 8mm hex shank suits most standard drills: hand/power drills, electric drill, buffing attachments etc. Max. 1500RPM and 20N m torque. Simple to install and operate, with a handle for stable usage. Make electric drill power swerve 90 for hard-reached places. Great for tight quarters, little tricky to learn. Can be connected to drill , rechargeable drill or manual wrench. Easy, Lightweight , fast , connect to the standard hex screwdrier. 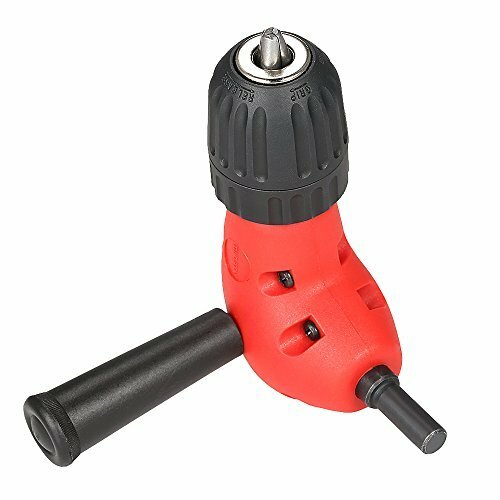 Perfect handy tool for hard-to-reach areas.Connect hand drill and manual wrench. Durable die cast construction with 3 sets of ball bearings for long lasting durability. Built-in strong magnet for good holding power, accepts all 1/4" standard hexagon shank bits. STEEL ALLOY MATERIAL - long lasting durability. 105 DEGREE DESIGN - good for tight spaces, extends the power of a cordless screwdriver. 1/4 HEX SHANK - can be quickly changed for drills, drive chucks and wrenches. 360 PARALLELLY ADJUSTMENT - can connect hand drill and manual wrench. BUILT-IN MAGNETIC SOCKET - holds standard hex drilling and drive bits, avoid falling. The product is 20V Lithe ANG Drill Kit. Easy to use. The product is manufactured in China. The ARES Right Angle Driver features a true 90-degree angle head and is impact ready, so you'll always be able handle the toughest jobs in the tightest spaces. Thanks to its quick release mechanism, you can easily change out any 1/4-inch drive bit, while the adjustable support handle gives you extra stability and versatility. 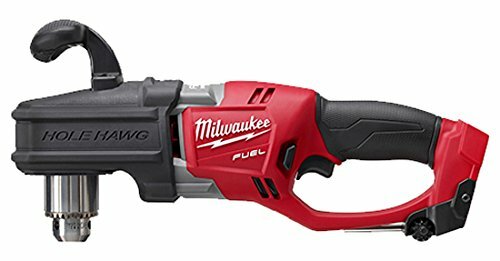 Best of all, this driver can be used with any of your favorite drills up to 18 Volts or 2000 RPM, so you know you can count on your tool to get the job done. ITEM SPECIFICATIONS: The ARES Right Angle Driver is can be used with 1/4-inch drive bits, is made for impact-grade applications, and works with drills up to 18 Volts or 2,000 RPM. DESIGN CONSIDERATIONS: This right angle driver features a true 90-degree head and can exert maximum torque of 504 in/lbs. Thanks to the quick release function, it's easy to change out bits and move between jobs more quickly while the adjustable support handle adds stability and versatility to this handy driver. The end of the handle also unscrews, so you can store a bit inside for added convenience. APPLICATION: This driver makes it easy to use your favorite drill in tight, hard to reach places at odd angles you wouldn't normally be able to reach. Whether you need to drill holes, install bolts, or remove screws, the ARES Right Angle Driver will help you save time and money and get the job done faster. RELIABLE | EFFECTIVE | EFFICIENT: Users trust ARES to be quality tools. You are backed by our Performance Assurance 3-Year Warranty. If you have any issues with your ARES Right Angle Driver, simply contact customer service for troubleshooting help, parts, replacement, or refund. 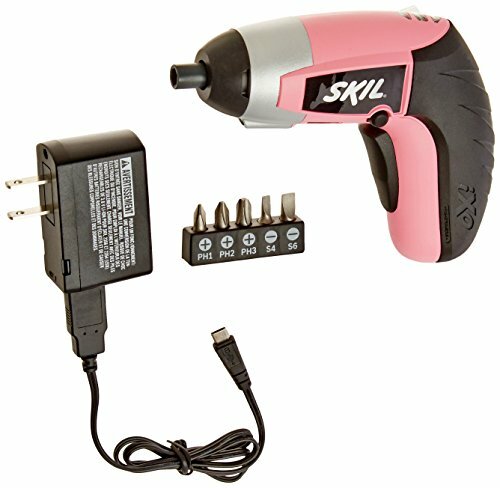 2354-08 Pink iXO 4-Volt Max Lithium-Ion Palm-Sized Cordless Screwdriver Lightweight design for less user fatigue USB charger allows you to conveniently charge using your laptop, car charger, or phone charger Site-Light helps illuminate hard to see areas. 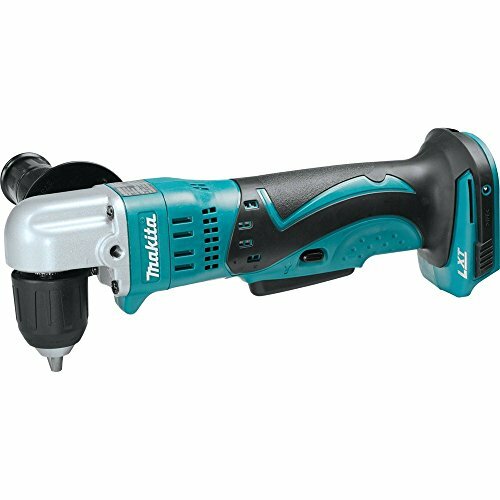 The Makita 18V LXT Lithium-Ion Cordless 3/8" Angle Drill (model XAD02Z, tool only) delivers cordless drilling power into tough-to-reach spaces. The versatile XAD02Z packs plenty of torque for a wide range of drilling and driving tasks, yet it weighs only 4.0 lbs. with a slim design and over one foot of tool extension. The 3/8" keyless chuck provides fast and easy bit removal. 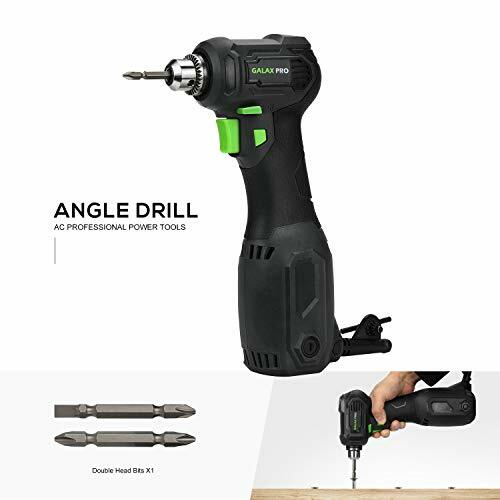 It's ideal for assembly, garage door installation, steel framing, woodworking, electrical, and any other job that requires a more compact drilling solution in close-quarters applications. The DCD740B 20V MAX Lithium Ion 3/8 in. Right Angle Drill/Driver is ideal for a variety of applications. The multi-trip trigger and compact design make it comfortable and easy to reach tight spaces. Dual speed ranges (0-650/0-2000) rpm for increased user flexibility providing a wide range of applications 3/8 in. ratcheting chuck features a deep hex pocket allowing 2 in. hex bits to be fully inserted for further tight spot operation convenience Includes: 20V MAX Cordless Lithium-Ion 3/8 in. Right Angle Drill Driver - DCD740B,Belt Hook,2 in. Phillips Tip Bit, Bare Tool - Batteries and Charger Sold Separately. There are some fastening or hole boring applications that a standard drill / driver just can't handle. Sometimes you need to work under a sink or in the rafters of a crawlspace. For those times, you'll need to use a right angle drill that can work properly in those awkward environments. For those situations, use the Ryobi P241. It's a compact, powerful drill that has more than enough torque and rotational speed for many household and professional applications. Beyond the 130 inch pounds of torque and 1,100 revolutions per minute, it comes loaded with features that provide you with maximum utility and comfort. When you're on your back, losing your fasteners is the last thing you want to have happen. The onboard magnetic bit tray keeps them on you without worrying about dropping them. If your workplace is a little damp, you'll still be able to maintain a grip with the carefully designed hex rubber overmold on the handle, allowing you maximum grip strength and freedom of movement in slippery conditions. The P241 also comes equipped with a powerful LED that will keep your work subjects illuminated when you need to see them the most. 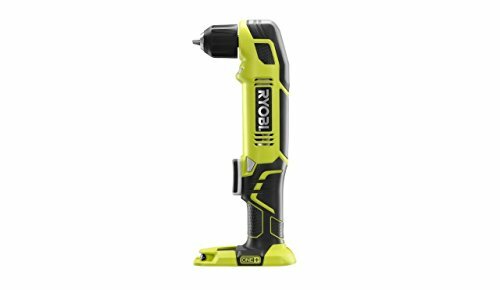 When you find yourself stuck under a sink or crawlspace, drilling holes with multiple different kinds of bits, you'll be happy to have your trusty Ryobi product by your side. 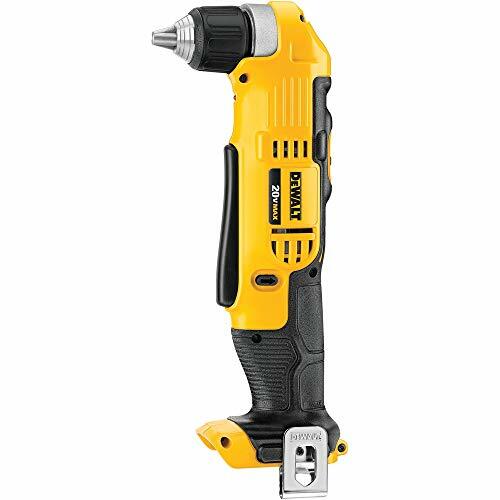 DeWalt Heavy Duty VSR Compact Right Angle Drill features ball bearing construction, machined steel chuck and includes a convenient chuck key and holder. Measures 3/8" with a 3.7A and 0-1,200 RPM. M12 3/8 rad drill kit w/1 bat. The product is easy to use. The product is durable. The product is manufactured in china. GALAX PRO---A team specializing in the production of power tools, such as a circular saw, reciprocating saw, polisher, hammer drill and so on. If you are a DIY lover, GALAX PRO is your right choice. The GALAX PRO angle drill has been designed with low weight(4.5 pounds) in mind to ensure the drill is easy to use and to help reduce user fatigue on long drilling applications. This right angle drill features a 10mm(3/8") keyed chuck, accept 1-10mm drill bits, with a key to tighten/loosen it. which makes it suits almost all standard drill bits and screwdriver bits. The lock-on button gives the user the option to keep the machine continually running when doing repetitive operations. The forward/reverse button is conveniently located for easy reach. Right angle drills are designed to be compact and easy to use in tight spaces. Better accessibility to drive screws and drill holes in tight spaces. Right Angle Drill is designed for boring large holes between studs or joists and in other tight spaces. 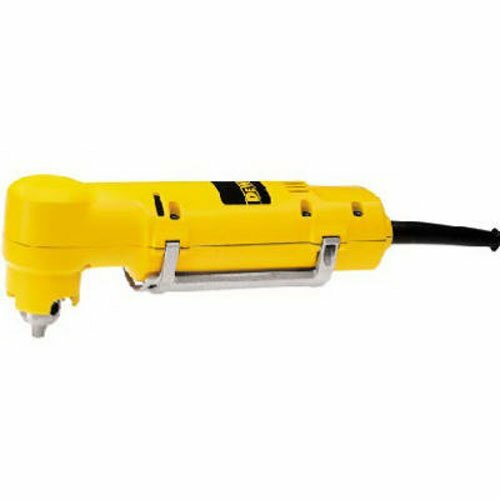 There is a sensitive soft trigger with variable speed switch which allows a user to drill slowly for precision accuracy when starting to drill a hole, while the rubber back handle increases comfort to the user in drilling and screwdriving applications. M18 Fuel Hole Hawg 1/2" Right Angle Drill Bare. The Product is Easy to Use and Easy to Handle. The Product is Highly Durable. Made In China. POWERSTATE Brushless Motor: Provides constant power under heavy load to complete holes faster than corded drills. REDLITHIUM Battery Pack: Provides superior pack construction, more work per charge and more work over the life of the pack than competitive batteries. REDLINK PLUS Intelligence: Ensures optimal performance and overload protection to prevent damage to the tool or battery during heavy applications. All-Metal Keyed Chuck: For maximum durability and bit retention. Includes 2702-20 Tool Only - Batteries and Charger Not Included. 9.5(3/8) shank suits most standard drills: hand/power drills, electric drill, buffing attachments etc. Max. 500RPM and 20N m torque.